I can see why you’re so pleased with the new site, it’s great. The art really adds a lot. I’ve always found South and Central American cultures fascinating and love the art you have up here! Congrats on the new site! Lovely new site! Looking forward to reading your book. Wow. Your site looks amazing. Congratulations on your upcoming book and also on the site revamp. Hey Beth, great to see you here! Hopefully we can get together again soon at a World Con or World Fantasy. It’s been too long! Philip and John, thanks for stopping by and welcome! And yes, the rest of the revamped website looks beautiful as well! Hi! My friend Doug Sharp pointed me to your page, his link saying that he loved your work. Since I had never heard of your work before, and I trust his judgment in things narrative, I came over here. I would love to win your contest so that I could read your book. I promise to review it at Amazon.com. Thanks for running such a great contest. Hey Adrian! Glad to see you over here. One of these days we’ve got to have a CW reunion at a con. I miss you! Louise, welcome! Doug is a very dear friend too; we both attended the Clarion West workshop back in 2002 (along with Adrian) and I really admire his strength and determination. Hi Max! Thanks for stopping by! I really like the new look of your website and I’d love to read the book. Sounds like a really interesting novel, I’d love to read it! 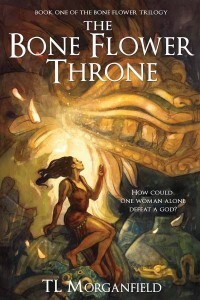 The cover was done by Zelda Devon. She does fantastic work. Thanks for stopping by, Rebekah! I prefer all my thrones to be well-powdered with bone, and I much look forward to reading the book. The site looks fabulous and the book sounds facinating! Even if I don’t win, this is going on my to read list. AE, I love the cover art for Brood of Bones; I think I saw it before a while back on deviantART when the artist originally posted it (though my memory could be faulty). It’s just lovely and stunning in detail. Thanks for stopping by! This book sounds really neat. I’ll have to read it whether or not I win. Thanks for stopping by, Lisa! Welcome! Wow. Your cover art and the new site design look great! Congrats on the upcoming release. i desire to enter this contest for your arc. i also came via martha wells’ lj. Thanks for stopping by, RS and Elizabeth! Love the site and the cover of your book looks amazing. Sounds like a great read!